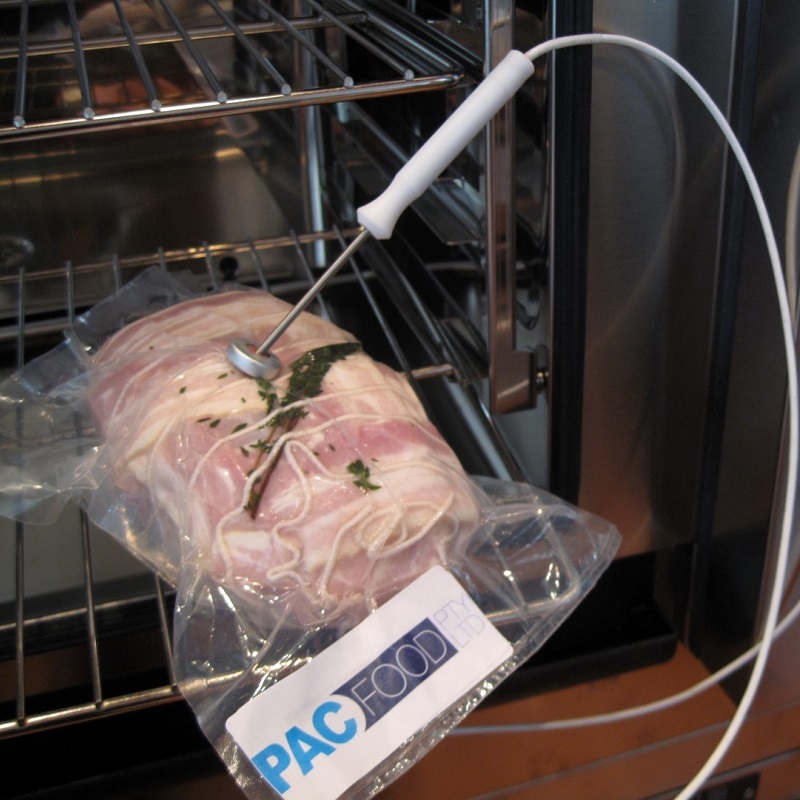 The revolutionary new Pac Food Core Temperature Valve allows accurate temperature reading of your food by allowing the probe thermometer to be inserted into the centre of the food, while in the bag. 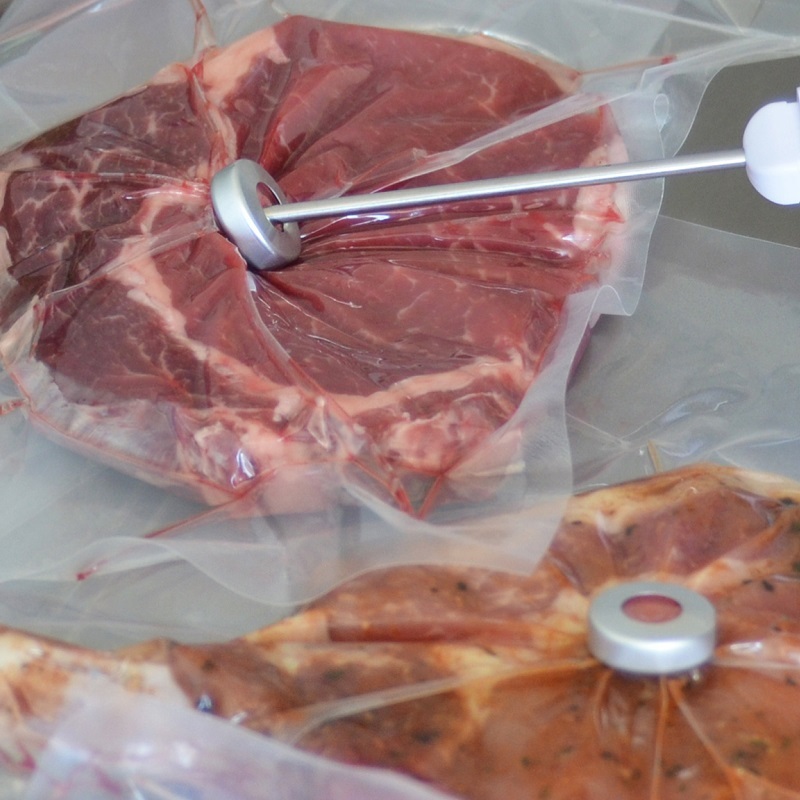 The valve does not compromise the seal of the bag, but does allow temperatures to be read accurately. Folding of the bag or using an infra-red gauge will only measure the surface temperature; the centre of the product will be most probably be at a marked difference. 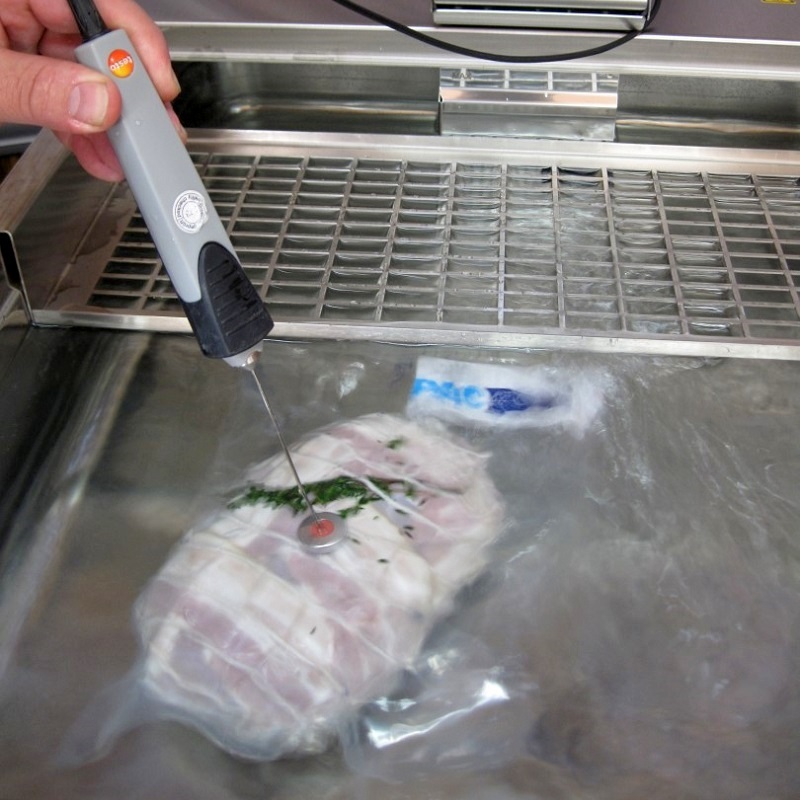 Sous vide or cook chill methods require the most accurate temperature measuring possible, with the revolutionary new Pac Food Core Temperature Valve that is now possible. 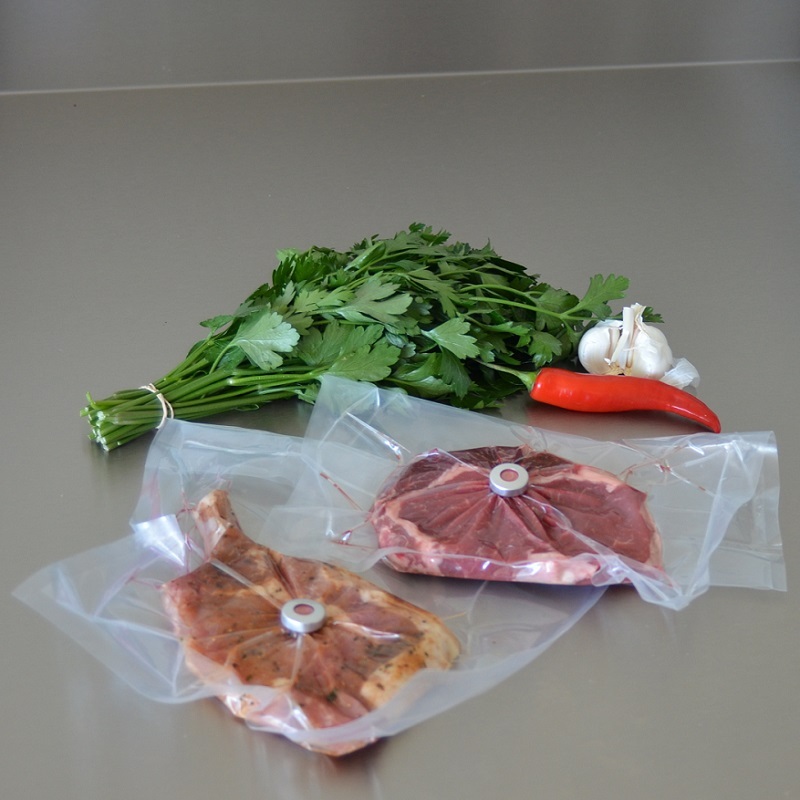 We will have all sizes of sous vide and cook chill bags available with a valve, against very reasonable prices, as our objectives are more food safety than economics. Enjoy the best cooking results with optimal temperature measuring! Do you want to know how this works with your size bags, please ask us for samples!